This week the media reported that the NT government was going to spend over $400,000 to subsidise a ferry service between Darwin and the Tiwi Islands – to the tune of over $10,000 per trip. A scandalous waste of money. Yet the fine print revealed that this was to be a trial – coincidentally starting the day before the NT elections and concluding in November. I predict it won’t continue after that time. The dates mentioned here reveals that this was a classic instance of election-focused “pork barrelling”. The Labor Government must be worried about holding the seat of Arafura and so applied some last minute grease to its campaign. We have seen several commitments of that type from both major parties during this election campaign. All this is par for the course. All politicians, notwithstanding their political stripe, share a conviction that the proper governance of their jurisdiction urgently requires themselves to be on the treasury benches in parliament. More serious is that the election campaign has revealed that the real scandal in the NT – the diversion of general purpose (GST) monies from Aboriginal purposes to propping up the lifestyle of Darwin residents – is not only alive and well, but unchallenged by either major party. Whoever is elected this weekend will continue this deeply unethical practice. The NT “earns” about seven times per capita of the average share of the GST revenue apportioned to the States and Territories by the Commonwealth Government via the Commonwealth Grants Commission. That is in recognition of the high proportion of disadvantaged Aboriginal people in the NT. Yet only about 60% of these “earnings” are actually applied to Aboriginal health, education, housing, etc. The rest goes to fund expenditure in Darwin. The Territory exhibits an extreme form of what economists call “urban bias”. In common parlance this is expressed as the “Berrimah line” effect (though more accurately now it should be the Virginia line, because Palmerston is included in this skew of NT expenditure to the Greater Darwin region). So the NTG spends about 2.4 times as much as its assessed need on urban transit but only about 25% of its assessed need on non-urban transit. Expenditure on families and children’s services (an obvious area of Aboriginal need) is at about 35% of the Grants Commission’ assessment of need. I could give other examples. This election campaign has dramatised that urban bias is intrinsic to the Territory’s political economy. For instance, on my rough reckoning of expenditure promises from the media, the Government has promised over $25 million of new expenditure on “culture and recreation” – swimming pools, music festivals, etc – in the greater Darwin region. Compare this with the $2.5 million promised Alice Springs for the mall up-grade. Here the only other promise of significance – $2.5million for new lighting at Traeger Park – is for the convenience of the AFL; we can see the footie perfectly fine with the current lights. These points are not trivial. Every Port Adelaide or Bulldogs game at Marrara oval costs the NT fisc the equivalent amount of the construction of one Aboriginal house, or the annual dialysis costs of five persons. These are the real equivalences in play. This situation is irreversible. So long as the Darwin seats decide who is in government, nothing will change; urban bias will rule even if the CLP wins this election. So what are we to do? There are several possibilities. We could call for the NT to be divided, between north and south, into two territories (as it was briefly in the 1920s). This would at least reduce the electoral power of Darwin in the southern half of the NT. We could call for the Commonwealth to resume formal control over the NT’s Aboriginal population and be responsible for expenditure in that area? In effect the NT government would then become the government of the major urban centres of the Stuart Highway. In any case the current election will change nothing. So we need to start a debate about the future of the Northern Territory. As currently constituted the Territory is unsustainable and further Commonwealth intervention is inevitable at some stage. The so-called “Statehood” debate is a nonsense and we need to consider alternatives. This debate needs to take place in the full recognition that the current governance system in the NT is an impediment to sensible long-term solutions to our obvious problems. A couple of seats have changed hands, not a good basis on which to change theories. Unless the Feds stop giving untied money to whoever sits in Darwin, I predict the game will stay the same: Win the next election by playing to the area with the most numbers, and in the Territory that’s the Top End. The big news coming out of Saturday is that the ALP can no longer take the indigenous vote for granted. The other big news is that it looks like two dynamic women who quite pointedly did not, ever, jump on the anti-Intervention bandwagon have been elected by indigenous voters. Both developments are simply huge! Well that has been hit for six … bush and rural seats have won govt for CLP … big rethink of NT politics coming up. And allocation of funding? In reply to John Rawnsley (Posted August 25, 2012 at 7:37 am): in 2006, I was involved in discussions with other central Australian activists (including some outside the NT boundaries in cross-border areas) about some of the questions you raise. In the weeks just prior to the introduction of the NTER in 2007 we were preparing to launch a petition to the Commonwealth for the creation of a royal commission into the governance, administration and development of Australia’s arid regions, as we perceived the social, educational, civic, economic and environmental problems across the arid regions to be essentially similar. Most importantly, the inability of state / NT governments (which are located in and dominated by the populations and media of large coastal-based capital cities) to keep a consistent focus on their very remote and sparsely populated areas’ needs, or grasp the challenge of intelligent analysis and planning for the remote arid lands, or even just occasionally deal effectively with some of the most basic urgent problems, was creating an intolerable situation. Mal Brough’s precipitous actions overtook our planning, and it became impossible to imagine getting the attention of the political classes in the tumultuous times which followed. Maybe now would be a good time to resurrect the proposal? His first suggestion is to call for the “NT to be divided, between north and south, into two territories (as it was briefly in the 1920s). This would at least reduce the electoral power of Darwin in the southern half of the NT”. To achieve this, changes would be required from the Self-Government Act in Canberra. Given the pace of change in indigenous affairs such as a radical proposal is not far-fetched, but it is hardly on the radar so far. Not many people call for it. Key leaders from across the north and south regions remain too connected or enmeshed in the current system, and see such a proposition as too far-fetched, to call for it. Notions of self-determination, of localised and / or regional decision-making, are not supported when leaders from outside of our region receive such broad and strong vocal support from various local leaders in our community (the intervention is an example). Neither political party at a national level has proposed such a change or even flagged or discussed it as a possibility. Prof Gerritsen’s second suggestion is that we “call for the Commonwealth to resume formal control over the NT’s Aboriginal population and be responsible for expenditure in that area? In effect the NT government would then become the government of the major urban centres of the Stuart Highway”. A major pitfall of this is the lack of a Commonwealth structure on the ground. Many argue that this would throw the baby out with the bathwater. The Commonwealth would retain control, as it pretended to do with the Commonwealth intervention, and would not have the local capacity to affect such change. Prof Gerristen’s final comment is that we “need to start a debate about the future of the Northern Territory based on the view that the currently constituted Territory is unsustainable”. The view is, “Statehood is nonsense”. This ignores the fact that the Statehood process is designed to empower delegates from across the Territory to design a draft constitution. What we want in that constitution is up to us. 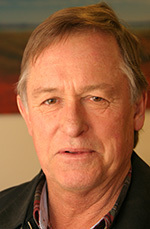 We could, for example, put a clause that requires Government to expend money consistent with the formula put by the Commonwealth in its distribution of grants, or that the Territory cannot take an admin fee from grants to Local Government, or to set up a structure for Darwin and the rest that effectively reflects the first idea put by Prof Gerritsen, or puts in place a secure and empowered accountability measure as suggested in the past from the Professor. At the end of the day, there will always be a struggle for regional delegates to argue persuasively with a number of Darwin votes required for effective change, but a compromise and fundamental structural change through the drafting of a new constitution is not impossible. Ironically, the Statehood process failed because some MLAs in the Opposition, including from this region, didn’t want the debate for delegates for the constitution to cover issues that would “spill” over into the NT election. They didn’t want such issues as how we can have systemic change to the way we are governed and structures that support the region to be on the radar and to be discussed. This is a blight on our current leadership, because there remains very little space and impetus for a debate about such issues. These views are my own and don’t represent any organisation I am involved with. Hear, hear Bob Taylor. A great and astute posting at 10:32 last night. I have said before in various fora how important it is for Centralia to have a professional and local call centre versed in First Australian languages. YES please, I would love Alex Nelson to conduct such investigations and respond to you. While I am at it, may I say again that the Alice would be better served in most ways now by a GOOD Liberal government. The electorate is ready but the Country Libs need a few more years to sort out where they are really heading. For what it matters; Central Australia is so attached in both a cerebral and historical sense to South Australia. This plays out in both positive and negative ways when talking of the Simpson Desert, The Alice and The MacDonnell Ranges. Thank you and good morning from THE lone dingo. Business as usual or will it be business as it was 12 or more years ago. Locals will remember Alice Springs use to have an Assistant Commissioner of Police (Andy McNeil was one). I recall this position being downgraded in the 1990’s. About the same time plans were formulated to combine the local police control room with the other emergency services and with the development of enhanced “000” and other technology the whole control room was moved to the Darwin. Maybe Alex Nelson could put his finger on media articles or references about these happenings or maybe it took place without publicity or fanfare. Obviously these decisions must have been made at the time for sound operational reasons and any future decisions to reverse them will not be cheap, so good luck to the CLP if they can reverse these decisions and recreate the previous status quo and a few more jobs for the Alice. On the matter of dividing the state in half – Tasmania has a de-facto division between north and south, but even though relatively speaking the population and number of elected members are equally divided, Hobart, the capital in the south and seat of government, still manages to get a bigger slice of the financial pie. The NT already has too much of a racial divide, so I don’t think we should be going further down that track. Personally I am more in favor of direct funding to local councils, but there would have to be a built in “remote locality bias”. This may be more in line with the CLP’s decentralisation policy. If an Alice Springs independent member was to hold the balance of power in the next NT Government a little more money and jobs might flow south, but I wouldn’t hold my breath in anticipation of this happening. Yay, finally someone with a research background has come out and publicly stated that the NT requires radical change. A lot of people I know realize this however, the “common man” is never listened to. Now that an academic has stated this I hope that this will be the catalyst to instigate change. I first noticed this in the area of funding for child protection staffing many years ago. Commonwealth granted monies went to Darwin, were seemingly dissipated on “administrative costs” and the remainder (25-30%?) sent on to the Alice. Perhaps if Commonwealth grants (for Alice Springs area purposes) were initially directed to an Alice Springs authority for acquittal, rather than being dissipated in Darwin, might be a good start. Financial efficiencies would result for the top end and the south if this issue was to be streamlined and resolved. Likewise I’m afraid that election results will have no bearing on quality of life issues for Centralians, it’s just which stripe gets to hold the Treasury keys. Independent forensic accountants with power for regulatory change would be required to cut through the historical empire building bulldust. It is caked on! Thanks for starting to describe the quandary, it needs to be out in the open. All the best Prof Gerritsen regarding this debate.